This tutorial explains how to link JIRA users to MS Project Server enterprise resources. Project Professional 2013 and Project Server 2013 were used to produce the demo (for other versions, see a note at the end). 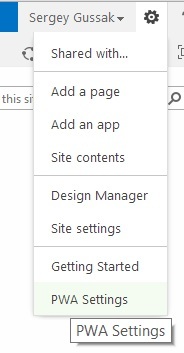 Open PWA (Project Server web interface), then click Settings (gear symbol) > PWA Settings. Click 'Enterprise Custom Fields and Lookup Tables'. Enter a name for the field that will store JIRA logins for enterprise resources. Select 'Resource' in the 'Entity' box and make sure that the field type is 'Text'. The new field has been added. Click 'Resources' on the left-hand side, select the resources that you want to map to JIRA users, then click the 'Resources' ribbon page caption at the top for the ribbon to appear, and press 'Open' to open the Enterprise Resource Pool. 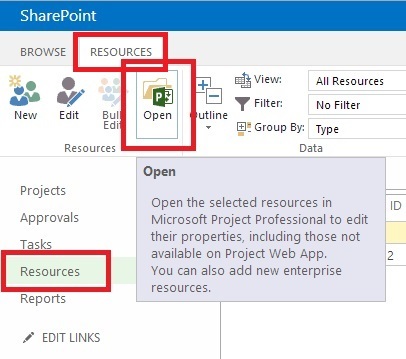 The enterprise resources will open in a sheet in Microsoft Project Professional. Add the JiraLogin column to the view to make sure that the latest set of enterprise fields is loaded. If Microsoft Project Professional (client application) was open before the enterprise field was added, you will need to close the application and reopen it for the new field to become available. 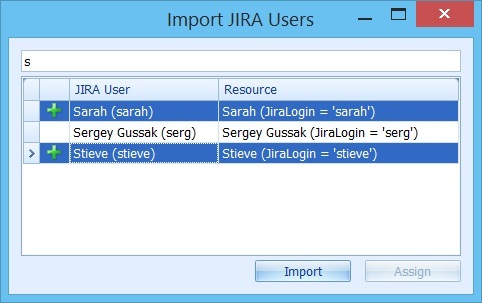 Enter JIRA logins for existing resources in the JiraLogin column to link the resources to JIRA users. You can also import Enterprise Resources directly from JIRA. 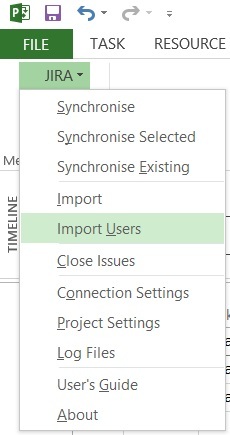 Select 'JIRA' > 'Import Users' in the MS Project ribbon. As there are no settings for the project yet (which is not a real project anyway), the following dialog will pop up. Enter any valid values into the mandatory fields. For the Assignee mapping, select 'Username' or 'Account Id' on the JIRA side and 'Resource Field' on the Microsoft Project side and type in 'JiraLogin' manually into the 'Resource Field' box. Note that the field name will not be available in the dropdown. Save the mappings. They will be disposed of once the resource pool is closed and will not be saved anywhere. The User Import window will appear. Enter search text, select the users to be imported and press 'Import'. The new resources will be added to the resource sheet and automatically mapped to JIRA users. Check in the resources into the Enterprise Resource Pool. Reload the Resource Pool page in PWA. The resources have been added to the Enterprise Resource Pool. 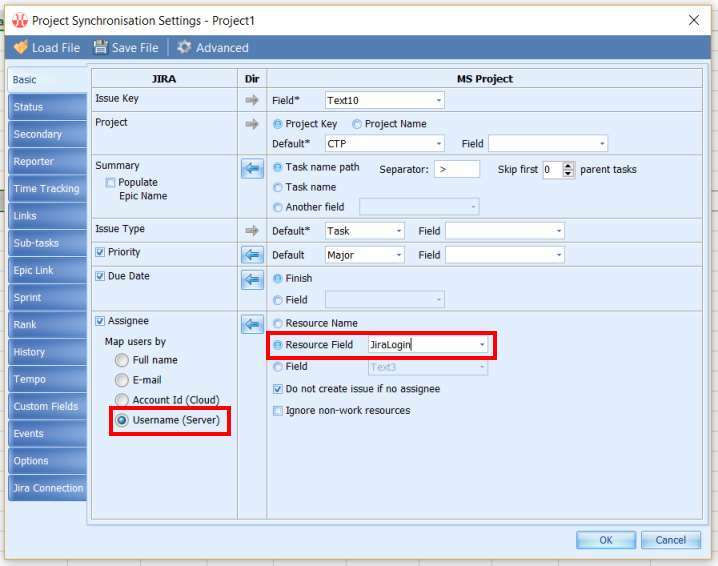 Now, when configuring synchronisation mappings for your projects, make sure that JIRA Assignee is mapped to MS Project Resource using the enterprise resource field 'JiraLogin' (or whatever field you are using for storing JIRA logins). 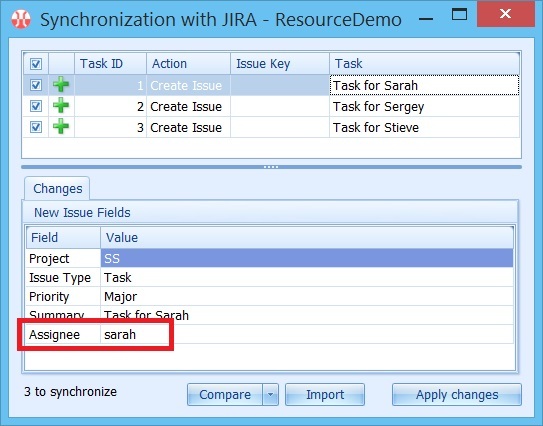 Try to synchronise a task assigned to an enterprise resource that is linked to a JIRA user. Note that Ceptah Bridge will use the login to populate the Assignee field in JIRA. The process will be quite similar for Project Server 2007 and 2010. It is completely different for Project Server 2003, though. To map Project Server 2003 enterprise resources, refer to the Assignee Mapping tutorial. 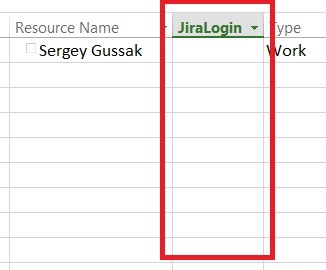 The only difference with the local mapping method in this case will be that you will need to use an enterprise text field to store JIRA logins (e.g. EnterpriseText10 instead of Text10).